A Sad Day in Bronx New York Thank You Steinbrenner R.I.P. 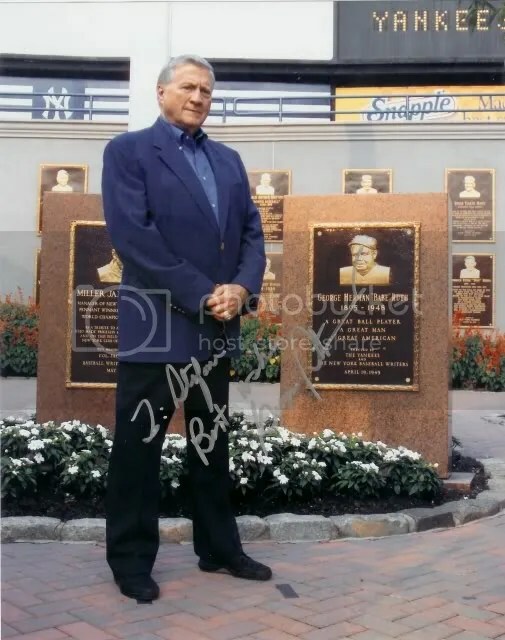 Thank you George Steinbrenner for the wonderful times and memories. Thank you for keeping the New York Yankees team and organization in Bronx, New York. It gave me and many other fans the opportunity to witness and experience a spectacular sports team like the New York Yankees make history time and time again. Mrs. Steinbrenner, Hank and Hal The Calliste family (true Bronx New Yorkers) send our condolences to you and your surviving family members. David Cashman you are as much a part of the Steinbrenner family and most people do not even realize that. Thank you for staying in New York and delivering champions. Thank you Mrs. Steinbrenner for supporting your husband for over 35 years in his quest for excellence and relentless drive to be a champion. In my opinion Mr & Mrs Steinbrenner are the true New York Yankees and Champions in the Bronx. Thank you. © 2010 Jerry Calliste Jr. & jerrycallistejr.com. Photo provided by “sac1129” through PhotoBucket URL links. All Rights Reserved.